April 21-22, 2016 - organised by the University of Edinburgh. 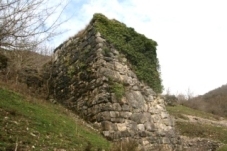 "Reinforcing Eastern Limes: Fortifications of Lazica in the Age of Justinian I". A lucid and succinct archaeological report on an important aspect of the Roman-Byzantine period in Western Georgia presented by Natia Natsvlishvili. You can download the Paper and Presentation. The first quarter lasts from March up to the end of May. Initial goal for the first quarter was to collect the materials concerning the research topic as well as arrangement of presentation of my project at Ivane Javakhishvili Tbilisi State University also wherever it is possible, namely at scientific research conferences. The main aim of the scientific survey project was the complex investigation of castles situated in West Georgia. As a result Nikoloz Murghulia visited and recorded 45 sites in West Georgia during March, April and May 2010. This lecture was presented at The British Institute at Ankara (BIAA) on 4th March 2010 by Irene Giviashvili. From the second half of the 16th century to the beginning of the 17th century Alaverdi, the main spiritual centre of the Kingdom of Kakheti, flourished. The situation changed drastically at the turn of the 17th century, when the life of the Alaverdi eparchy was defined completely by the political developments occurring in the country. The city of Tbilisi underwent incredibly rapid development in the 19th century. From a feudal town, it grew into one of the most important metropolises of the Russian Empire and became the major political, administrative and cultural center of the South Caucasus. The present article purports to explain how the social and the cultural context of Tbilisi reverberated on the face of the city. Nino Chanishvili has visited four sites. As well as the main study into The Architecture of Tbilisi, she has also written reports on the architecture of Salonica, Sarajevo and Baku. 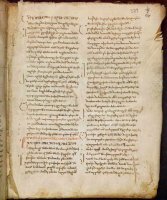 My project, supported by a FaRiG Grant, researched the illuminated Gospel manuscripts from the Georgian scriptoria of the Black Mountain near Antioch (now in Turkey). The Georgian codices from these Scriptoria of the Black Mountain collectively form the most significant group of Georgian miniature paintings. They not only illustrate the text, but also depict the cultural and political context in which the handwritten book was produced. Art Nouveau is an international style of art, architecture and design that pekaed in popularity at the beginning of the 20th century (1880-1914) and is characterised by highly-stylised, flowing, curvilinear designs often incorporating floral and other plant-inspired motifs. The Art Nouveau Preservation Group of Georgia has been led for many years by Nestan Tatarashvili, architect. This is the first exploration of an unknown subject - the Georgian icons of the two centuries leading up to the mid-nineteeth century. Our work enabled us to understand some of the ways in which Georgian artists appropriated some western European models. Hitherto it had been the general belief that all the links came through Russia. But Georgia and Europe were far more directly connected. The project has followed from the growing interest in the roots of Modernity in Georgia. The conducted research aims at contributing to the better understanding of the initial stage of the development of Georgian culture on the common European way. Besides, study of the Early Modern Georgian literature gives a good chance to trace the emergence and early development of the Modernity in non-Western cultures - the aspects, which became particularly important in the last decades. The decoration of the main church seems to be the most important of the surviving paintings at Natlismtsemeli Monastery. Fragments dating from various periods appear to convey the entire history of the monastery and its artistic creativity. FaRiG supports AGEN’s work at the village of Nokalakevi in Mingrelia, western Georgia. 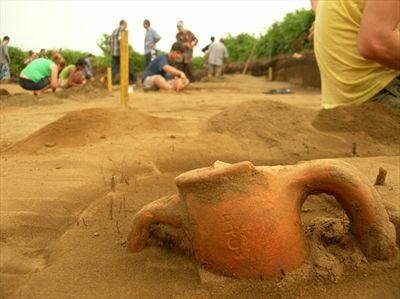 The eleventh season of the joint British-Georgian Pichvnari Expedition, organised on the Georgian side from the Batumi Archaeological Museum and the Batumi Research Institute, and on the British from the Ashmolean Museum, Oxford took place between mid-July and mid-August 2008. This year was unusually exciting, since hostilities between Russia and Georgia broke out during the last few days of our season. Both the personnel and the site escaped unscathed. Most ‘British’ students left via Turkey on instructions from the embassy. The research is published as: The Blessed Theodoret of Cyrus: the life, activities, creed, writings and their Georgian translations. Vol. I. Tbilisi: Logos, 2008, Victoria Jugeli. You can view a summary as a PDF. 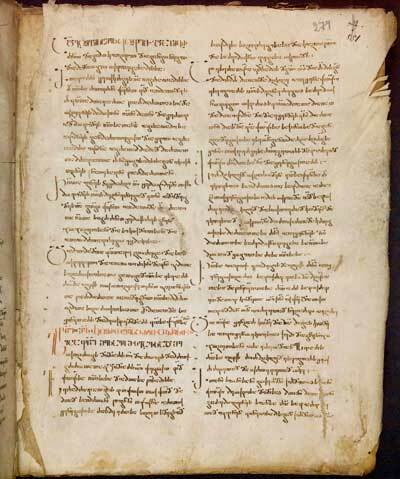 A 1108 (12th c., paper, translated from Greek), 109r, the Octateuch part. 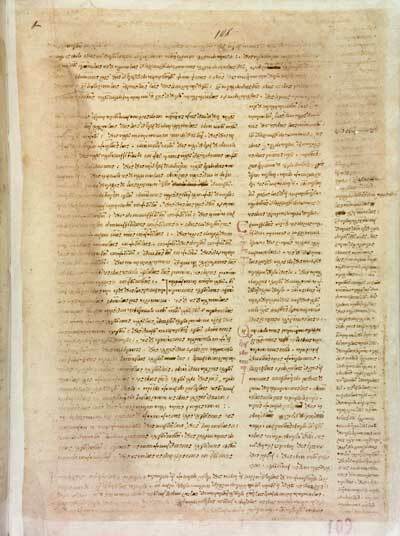 S 417 (12th c., paper, translated from Greek), 99v. The beginning of Theodoret’s Commentary on Amos’ Prophecy. 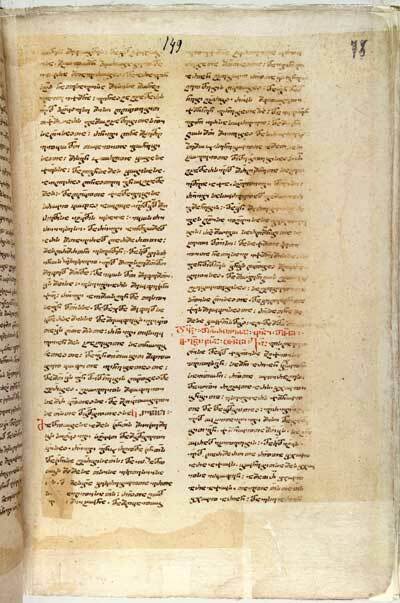 S 1141 (10th c., parchment, translated from Armenian), 274r. Theodoret’s Commentaries on Psalms. Q 37 (11th c., paper, translated from Greek), 75r. The Collection of Psalms. The following images of the manuscripts' folia represent the illustrations of the edition. 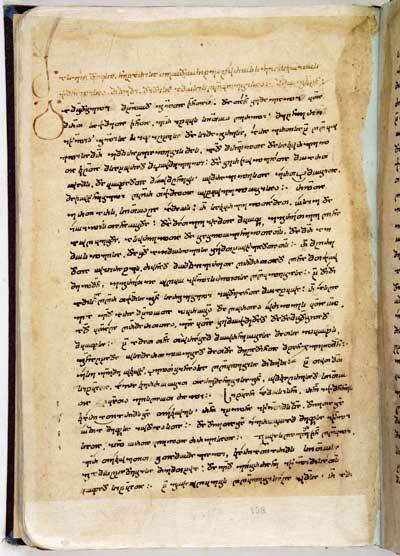 These manuscripts are preserved in the National Centre of Manuscripts, Tbilisi, Georgia.